L.A. Live is the hub for nightlife entertainment in downtown L.A. and a popular tourist attraction as well. 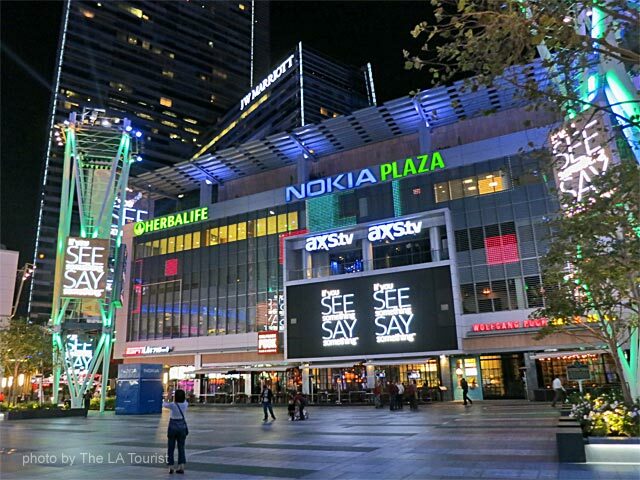 Nokia Plaza is open all day and is near sightseeing destinations like The Grammy Museum and Staples Center. At night you can attend a show at the Nokia Theatre, dance at The Conga Room or bowl a few lanes at the Lucky Strike bowling alley. To get there, go to Olympic Boulevard near Figueroa Street in downtown LA. Tourist Attractions in Downtown L.A.